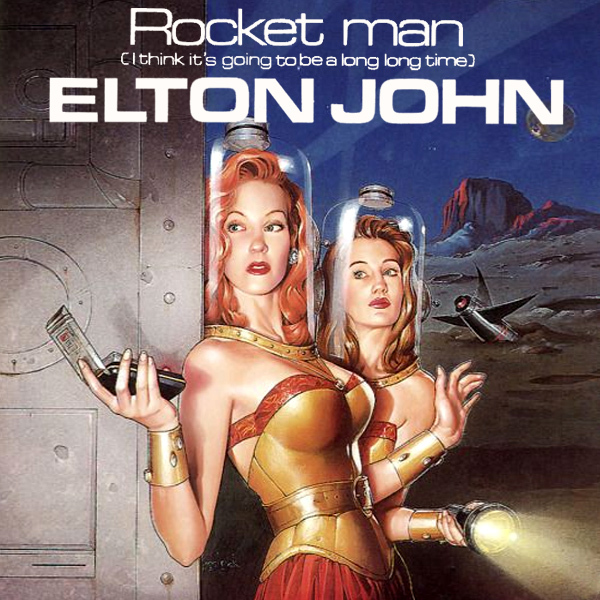 Another remix for Elton John (or Frisbee Headland as he is known here at AllBum.Art for reasons that are too complex to get into). 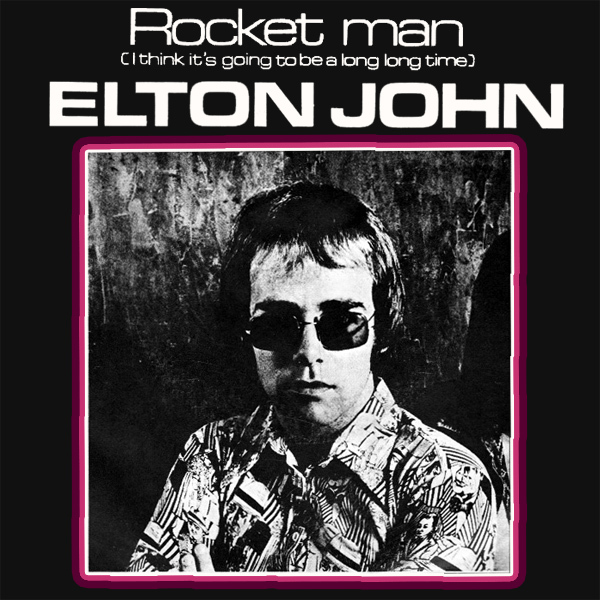 Continuing the 'outer space' theme, we find Rocket Man (I Think It's Going To Be A Long Long Parenthesis). On the original cover we find Mr Dwight looking very monochrome. On the remix we find two babes who appear to have crashed their rocket, no doubt waiting for the rocket man to appear to repair it for them. Spanner!